The first step is the easiest: book an appointment! When you speak to us make sure you have any documentation that your doctor has given you including reports and Medicare forms. We can then book you in for an appointment to see an Allied Health Professional. That depends on you! Your practitioner will talk to you about your injury/condition/body, your history, goals and what you want to get out of your sessions. From there, they can develop a treatment plan that helps bridge the gap between where you are and where you want to be. This plan includes your appointments and sessions here with us, your top three goals and exercises that you can work on at home between your appointments. We can even take you through some exercises on our specialised rehabilitation equipment in addition to your at home exercises. Pro tip: Clients who complete their home exercises achieve results significantly faster than those who just exercise in the clinic. If you have been referred for physiotherapy then you may require hands-on treatment including massage to help you progress. Regardless, your practitioner will show you exercises that you can take away with you to speed up your progress. As you progress through your sessions and master your at-home exercises, we can increase the variety and intensity of the work you do. Increasing the challenge of exercises can be a scary prospect for students, particularly those who have lived with chronic pain for years. Don’t be afraid to give your practitioner continuous feedback about how you’re feeling and your pain levels: we want you to be able to achieve your goals and we need feedback in order to do that. Once you start to feel the difference, the goals that you set in your first session will seem a lot more achievable and we you may even want to review and change your goals to suit. If you have been suffering from continuous pain or feel that it is time to address some of those niggly aches and pains, come and see the team at StudioXPhys and let us start your journey to physical freedom. Balance training is an often-overlooked but essential part of any rehabilitation or fitness program and it becomes even more important as we age. We tend to take our balance for granted when we are younger, but as we age our ability to balance effectively deteriorates, and tasks that were once easy to perform can become more challenging. Our ability to balance is essential for performing a range of basic everyday tasks, including walking, getting out of a chair and even just standing still. When our balance is impaired, our risk of falling and sustaining fall-related injuries increases. This is where balance training can help. 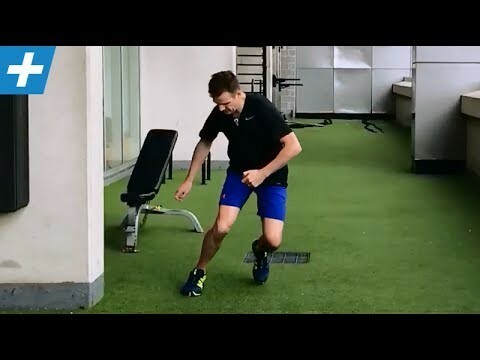 When working on balance, there are two main areas we focus on strengthening: the legs including the glutes, hamstrings and ankles; and the core. These muscle groups are responsible for keeping you upright – pretty important when it comes to balance! So what actually is balance? Balance refers to our ability to control and maintain equilibrium within the body, whether we are still or moving. It is governed by the vestibular apparatus within the inner ear, which works in harmony with the brain to provide us with our sense of balance. The feedback we receive from our body and its surroundings allows the VA and brain to make adjustments in order to maintain our balance. When we are still and have a stable base of support, it’s relatively easy to stay balanced. When we move and change our center of gravity in relation to our base of support, that is when our sense of balance can be tested. Fortunately, there are a variety of exercises you can do to improve your balance, and most can be done at home without any special equipment. Remember, keep it simple to start and only progress once you are ready. Use props such as a wall or chair for assistance if needed, and always make sure you are on a stable, non-slippery surface when doing your exercises. You can always regress an exercise depending on what your body feels like on the day. Start with some static holds: using a wall or chair for assistance, stand on one leg and balance for thirty seconds. Change sides and repeat at least twice on each leg. Don’t forget to keep your core switched on when you are holding, and especially as you change sides. Once you are confident and have established your balance, challenge yourself by taking your hand off the chair or wall. 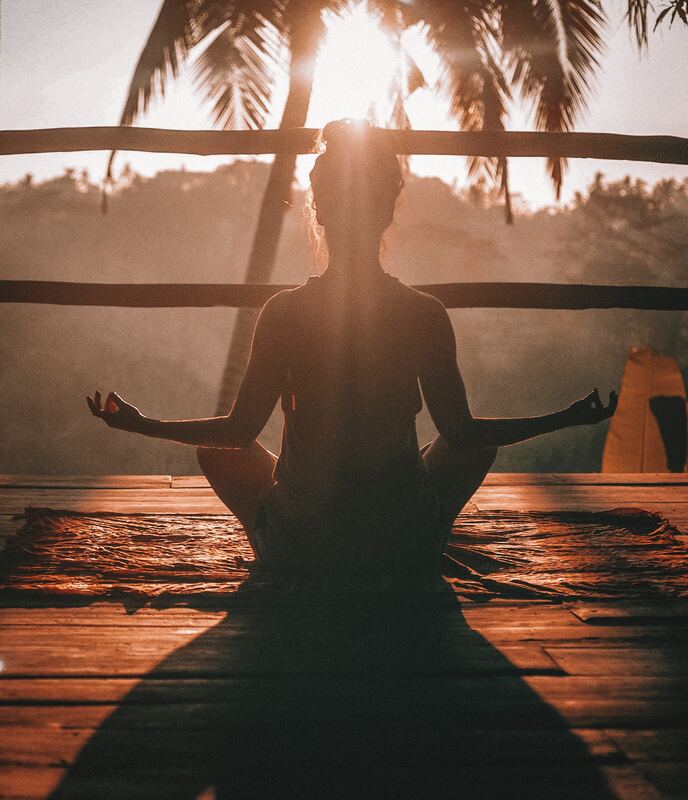 If you want extra challenge, try closing your eyes and staying balanced. Remember you can always use the chair or wall again if you need it – You may be surprised at how much more challenging it is to stay balanced without your vision! After you have mastered the static hold, it’s time to add some movement into your balance work. Dynamic balance exercises are more functional than static exercises, meaning they compliment and improve the everyday activities you do that require balance – walking, bending, reaching etc. These exercises also begin to really challenge your core stability and control. Using the wall or a chair for assistance if you need it, start by lifting both the heels and rising up onto the toes – staying stable through the legs and trunk – and then slowly lowering the heels back down. Repeat ten times. To increase the challenge, try single-legged calf raises – lifting and lowering the heel of one leg at a time. For some extra variety, try prancing the feet by lifting one heel at a time and bending the opposite knee, still keeping the movement slow and controlled as you lift and lower your heels. Again, once you are confident with this exercise you can take away the assistance, and even try closing your eyes while calf-raising. Though age plays a large role in our ability to balance, students of all ages will benefit from balance exercises. 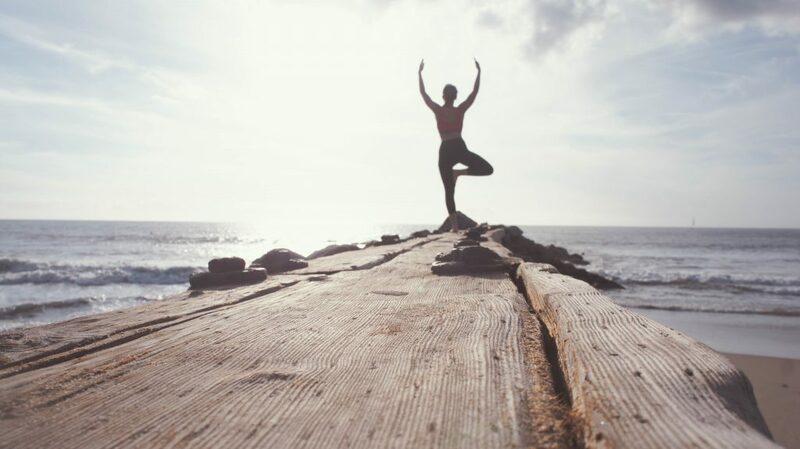 If you’ve ever had an off-day and suddenly found yourself struggling to perform activities that you usually breeze through – maybe you’re even tripping over or stumbling when you walk – then some simple at-home balance exercises can help you get back on track and finding your center again. Floyd, R. T. (2012). Manual of Structural Kinesiology. 18th ed. While Pilates is best-known for its emphasis on core strength, there is no area of the body that cannot be targeted with Pilates exercises. 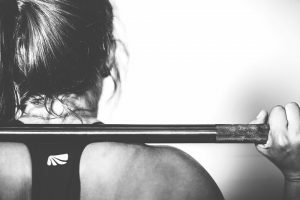 There is a strong focus on the smaller, stabilising muscles of the body – the muscles we often forget, or didn’t know, we have – that are often neglected in an average exercise routine. By developing these muscles in addition to the larger, “mover” muscles, we can create a body that is not only pain-free but more physically resilient to everyday stresses and injury. This is the major difference between Pilates and regular strength training that you may do in your gym or at home. Why do I get Shoulder Pain? How can I avoid it? Anatomy: The rotator cuff is made up of 4 muscles. These include the supraspinatus M, infraspinatus M, subscapularis M and the teres minor M. In addition, there are synergistic muscles that also assist in movements of the shoulder such as the latissimus dorsi muscle and the deltoid muscle. The shoulder joint is an inherently unstable joint only made stable by the above-mentioned rotator cuff muscles. These four muscles work in conjunction with each to secure the head of the humerus into the glenohumeral joint. When one of these 4 muscles become injured the whole structured becomes jeopardized. The shoulder is a diarthrodial joint meaning it is freely movable and can perform all of the following movements: Abduction, Adduction, circumduction, external rotation, internal rotation, flexion and extension. Each muscle has a specific role to play in the multi-directional movements made possible by the unique joint. How Accurate are Shoulder Assessments? Hawkers-Kennedy test – Positive results indicate subacromial impingement or bursitis. Speed test – Positive test indicates damage to the long head of bicep tendon. 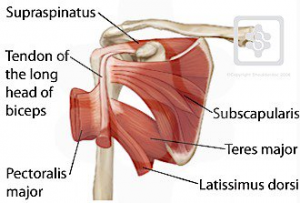 Empty Can Test – Positive test is indicative of supraspinatus tear. Gerber’s test – Positive test indicates injury to internal rotators (subscapularis). An active/Passive range of motion. Upper Neural tension test – Positive results indicate damage to the nerves in the neck shoulder and arm. How can Physiotherapy and Exercise Physiology Help? Depending on the nature of injury initial resting may be required before manual therapy or exercise treatment can commence. Seeking your local GP is a great place to start to determine the extent of your shoulder injury. It is recommended you seek a Physiotherapist or Exercise Physiologist to develop an exercise program tailored to your needs to reduce any pain you may be experiencing and regain full movement of the shoulder. 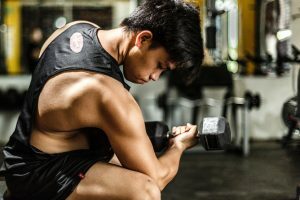 Why I need to learn muscle activation before strengthening? Why it’s Important to learn Muscle activation before jumping into strength training! The team here at StudioXphys will have a thorough discussion with our new clients about the importance of muscle activation before you start strength training. Better activation means better muscle recruitment and quicker strength gains with less chance of injury. This includes Core activation, scapular stabiliser activation and hip adductor activation. One of the biggest mistakes with an overhead press is the lack of proper core and abdominal control. This is because these muscles protect the lower back especially in exercises like lat pulldown and overhead press. As well as stabilising the spine, the core prevents anterior pelvic tilt. Excessive anterior pelvic tilt exaggerates the curve of the lower back and contributes to facet joint compression causing lower back pain. The first step is making sure you can activate your core (exercise below). From there is the core activation with breathing and core activation with leg/arm movements. Transversus abdominus in crook lying – Lie on your back with your knees bent and your feet flat on the floor. Place your hands on your lower tummy just inside your hip bones. Gently tighten your tummy muscles, pulling your belly button in towards your spine. You should feel you’re back flat on to the floor. Do not hold your breath. Relax and repeat. It is important to warm up the scapula stabilisers prior to an exercise like a chin up/pull up. 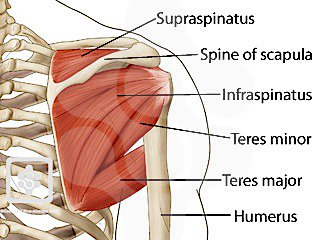 The muscle we should be activating is the rhomboids, however many exercises are activating the deltoids and trapezius. A movement that will activate your rhomboids is a Prone W, lying on the ground or on a swiss ball. This exercise also cues retraction, depression and downward rotation of the shoulder. 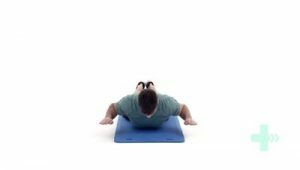 W raise – Lie face down on an exercise mat with your arms in a “W” position so that the upper arms are aligned alongside the trunk with your elbows bent and your hands facing forward at the same level as your shoulders. Move your forearms outwards so they are close to a 45-degree angle to the upper arm. Keep your head slightly elevated and aligned with your spine. Your hands should be facing palms down with your fingers extended. Now tighten your abdominal muscles to stabilise your trunk and slowly raise both arms off the floor no higher than 6 inches and hold for the required time, then slowly lower your arms down to the floor. Repeat for the desired number of repetitions. Throughout the exercise, keep your arms at 45 degrees through your elbows in the “W” position and ensure your trunk and legs are aligned. Perform this exercise in a slow controlled manner and do not jerk the body into the up-position when raising the arms. We must not forget about those inner thigh muscles as adductor strain in one of the most common lower limb injury. Instability in a balance exercise is usually due to glute and adductor weakness and inhibition. A sliding side lunge is a great exercise with a focus on gluteus and the adductors. Lateral slide with sock – Wear a sock on your good leg. Let your foot slide out to the side, bending the knee on the affected side. Make sure your knee travels directly forwards over your toes and the heel stays on the floor. Control the movement as you straighten the knee back up again and bring the other leg back in. Keep your body up straight throughout this exercise. One of four major ligaments in the knee. 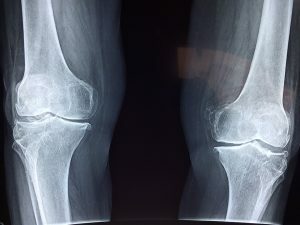 Connects femur (thigh bone) to tibia (shin bone). ACL prevents your tibia from going too far forward or rotating too much. In addition to being a mechanical stabiliser, it also provides input to your nervous system about joint position. Patellar tendon. A patellar tendon autograft utilises the patient’s own tendon to replace the torn ACL, and is beneficial because of its inherent rapid healing. Hamstring tendon. Autografts using the patient’s hamstring have become increasingly more common because they are not associated with anterior knee pain. Cadaver tendon. Allografts, which are the utilization of cadaver tendons, are preferred by some surgeons because they do not require removal of the patient’s own tendon. Your best way to avoid ACL reconstructive surgery is to undertake a comprehensive ACL-Deficient Knee Rehabilitation Program that involves leg strengthening, proprioception and high-level balance retraining, plus sport-specific agility and functional enhancement. Kubas, C. (2018). ACL Reconstruction Surgery: Prehabilitation // Gastown Physio & Pilates | Vancouver BC | Physical Therapy, Pilates, Acupuncture, IMS, Kinesiology, Massage Therapy, Naturopathic Medicine. [online] Gastownphysiopilates.com. Available at: https://gastownphysiopilates.com/acl-prehab/ [Accessed 12 Jun. 2018]. Michael Khadavi, M. (2018). 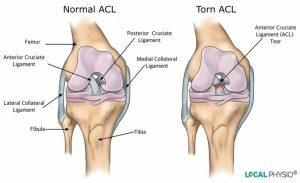 ACL Tear Symptoms. [online] Sports-health. Available at: https://www.sports-health.com/sports-injuries/knee-injuries/acl-tear-symptoms [Accessed 12 Jun. 2018]. Patchwork & Pebbles. (2018). 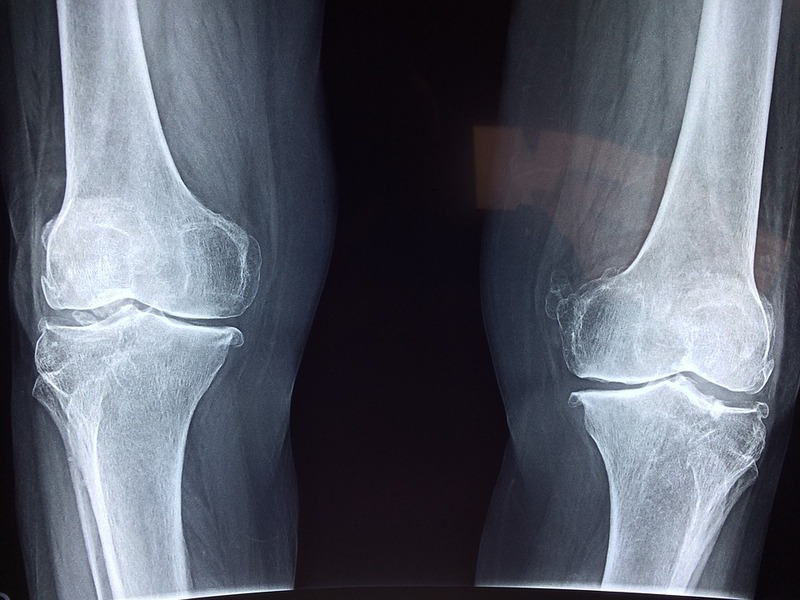 ACL Surgery | Rock Climber’s Guide | Start Here. [online] Available at: https://www.patchworkandpebbles.com/acl/ [Accessed 12 Jun. 2018]. Smith, H., Vacek, P., Johnson, R., Slauterbeck, J., Hashemi, J., Shultz, S. and Beynnon, B. (2011). Risk Factors for Anterior Cruciate Ligament Injury. Sports Health: A Multidisciplinary Approach, 4(1), pp.69-78. (2018). ACL Surgery Rehab – Pt 4: Single leg + change direction | Feat. Tim Keeley | No.100 | Physio REHAB. [online] Available at: https://www.youtube.com/watch?v=kkeL0_7tPpM [Accessed 12 Jun. 2018]. Everyone wants to enjoy their holiday to the fullest but many don’t want to give up their exercise routine while away for so many weeks. There’s no need to worry. Often many of your home rehab program exercises, from your allied health professional, can be performed with little to no equipment. Try introducing new bodyweight movements to replicate different machines you regularly use. For example, a push up or wall push up can be used to strengthen the pecs, similar to the chest press machine, while a supported squat or sit to stand uses similar muscle groups to that of the leg press. A theraband is a great piece of equipment that is light weight and can add resistance to many exercises for a thorough full body workout. Try standing on the theraband to perform many upper body exercises such as bicep curls, tricep extension or many different shoulder exercises. Similarly, a theraband can be used for core and leg strengthening too. 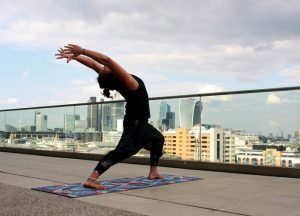 Many of us acknowledge we need to do more flexibility and stretching exercises and while on holiday is the perfect time to finally get started. Static stretching includes take two ends of the muscle in opposite directions until a stretch is felt and holding for 20-30 seconds. Stretching doesn’t require any equipment and many stretches can be performed in a small amount of space. A towel can be used to assist in stretches where flexibility limits your ability to achieve a stretch, such as when lying on your back and hooking the towel around your foot then lifting towards the roof. Try choosing 6-10 different muscle groups to stretch regularly while on holiday. One obvious way to keep active while on holiday is to keep moving. Explore the city, countryside, island or ship. Walking is a great, low impact way to get a light cardio workout in whilst away and best of all can lead to seeing some incredible sights. Try going for an extra walk to somewhere you might have not had the opportunity to explore if you had stayed in your room instead. Finally, many hotels, cruise ships and popular camping sites have facilities that can help scratch that exercise itch. Pools, tennis courts, gyms and more are great ways to get a regular exercise routine going whilst your enjoying your vacation. If you are unsure on how to use the equipment at the gym, try asking the staff to show you how to set up the machine and ensure you use correct technique. Most importantly, make sure to enjoy yourself while you’re away. Take some time to relax, sightsee and enjoy your trip. While it is always important to keep moving and physically active it is also important to look after your emotional and social health and a holiday is the perfect time to do so.